A feedback process iteratively amplifies audio recognized from a control signal. In this version the control signal was one minute excerpted from the BBC Radio 4 drama serial "The Archers", and the source signal was 3 seconds of pink noise. 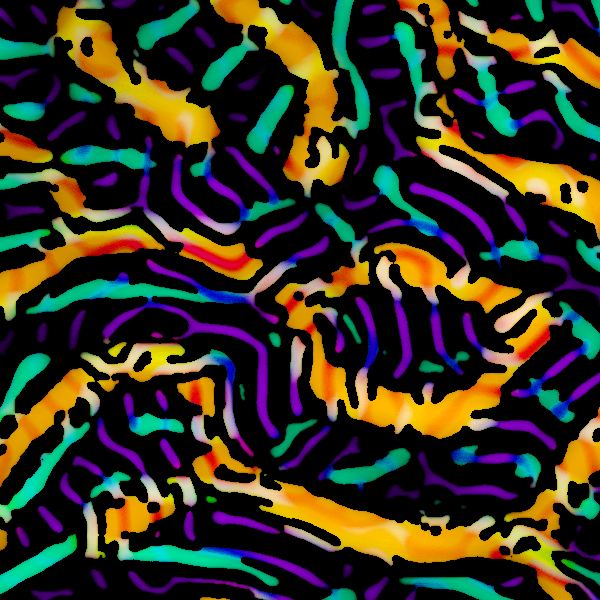 Inspired by Deep Dream, but no neural networks were involved this time. To be more precise, for each overlapping window of source audio, the program finds the nearest matching window of control audio, where the metric used is the vector difference of energy per octave. The match is added to the input, and appended to the source audio. The process continues over the rolling buffer, eventually feeding back on itself (the previous output is now the new input). Eventually I want to learn enough about machine learning to re-implement this idea using neural networks, perhaps trained on a variety of classical instrument sounds, to create an orchestral noise symphony.